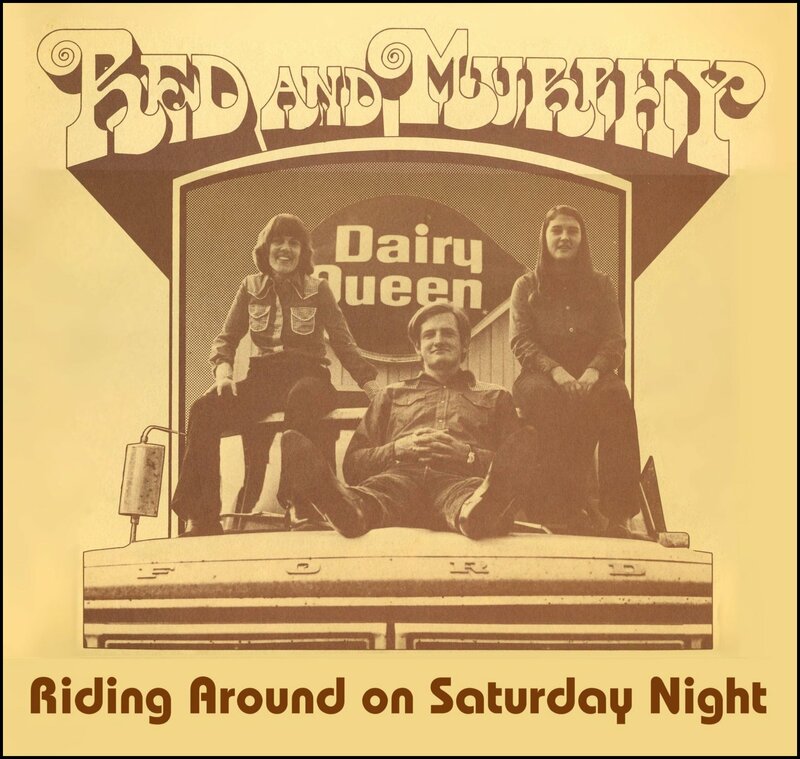 Our recording career began September 13-15, 1976, when Red, my sister Argen, and I went into the Warehouse Recording Studios in Jacksonville, Florida, to record our first album with the effervescent Tom Markam doing the engineering and mixing. We were living in Hawthorne, Florida, at the time and doing a lot of playing at various clubs in the Jacksonville-Gainesville-Tallahassee area. We spent the three days before we went into the recording studio playing at the Coney Grove Bluegrass Festival in Cordele, Georgia. But we were also playing plenty of bar gigs: long hours, little money, but great practice! We played a little club called the Tin Lizzie on a Tuesday night from 7-11 pm for $75. On Friday nights they bumped us up to $90 to play from 9:30 till 1:30. A big gig for us was playing a whole weekend at a restaurant called the Blue Water Bay in Melrose, Florida, for $250 plus a nice seafood supper for each of us. After all this playing, when we went into the studio we were a tight three-piece group. Red and I did most of the lead singing, with Argen doing an occasional number. When I sang lead, Argen would sing tenor, and Red would sing baritone. When Red sang lead, I would sing tenor and Argen would sometimes add a high baritone. I was pleased as punch when I re-listened to our vocals on this album and found that they were tight and strong. Much tighter and stronger than I remember! I played banjo, of course, and Red played rhythm and lead guitar. Sometimes on our live shows I would take the guitar so Red could play mandolin or fiddle. On this album I played guitar on Hey Good Looking while Red played fiddle. On other songs, Red recorded with guitar to start with and then dubbed in mandolin. Being deeply under the influence of our friend Dale Crider's amazing songwriting abilities and the stories that our friend and idol Gamble Rogers told on stage, I was already writing the quirky personal songs that would become a big part of our show: Riding Around On Saturday Night, Vacation Veracities, Grandmother's Song, and Awful Nice of Jesus. LONG DIVERSION: Grandmother's Song was probably the first decent song I ever wrote. It was preceded by beginning efforts like There's A Frog In The Pond (about frog gigging), The Star Trek Song, and The Clarkesville Song which ended with the line "I guess I'll go to Clarkesville and settle there a spell / Rest my weary body and help my Grandad plow his fields." I wrote that song while I was in college and I remember my grandmother quietly snorting with laughter when she heard that line. Later I realized that she knew from experience that plowing was not a restful activity, and, wise woman that she was, also knew that my 19-year-old self had no idea what a "weary body" really was! Later, after Casey was born, I would write another "beginning level" song about Mama which was cute but which was filled with too many family references to be palatable to a general audience. The chorus, which described Mama rocking a baby to sleep while singing, started off thusly: "At night when prayers were said including 'thanks for all the trash cans'..." Perhaps this bears a modicum of explanation, as Gamble Rogers used to say. There were five girls in our family (no boys), each two years apart, and for years Mama read a Bible story to us every night after which we all said our prayers and went to bed. Mama was always tolerant of our saying "thanks" for everything we could think of which often included "thanks for the trash cans to put over our heads." We would usually burst into little-girl laughter after we said this which pretty much ended prayers for the night. So I had to put that in the song! But what I liked especially about this little beginning song was the "hook" in the chorus. The first chorus ended with the line "With one girl in the bed, Mama sat and rocked the baby..." Then in subsequent choruses the line became "with two girls in the bed," then "with three girls in the bed" until all five of us were in the bed (not the same bed!) and Grandma was rocking the baby, her first grandchild, Casey! WE NOW RETURN TO THE ALBUM: Grandmother's Song and Vacation Veracities are also about family stuff, but they are somewhat stronger songs. "Vacation Veracities" was originally called "The Florida Song" and was based on a Hicks' family vacation to Florida, where, as I say in the song, "Of all the sites to visit I think we missed just three!" Originally the song started out, "Well, we set out from Clarkesville gonna have ourselves a ball / Going down to Florida Land to see and do it all / But the people there weren't neighborly and no grits could I find / Whatever I thought of Florida, well I guess I changed my mind." However, with us actually living in Florida, that last line was not exactly politic. So I took out all references to Florida and made them generic. I kinda hate that now, because the song is slightly stronger as I originally wrote it, but, hey you can't piss off a whole state just for the sake of art! The chorus of "The Florida Song/Vacation Veracities" is better crafted than the verses--my writing was improving. However, as far as I remember, we never performed this song on stage. It wasn't strong enough. Florida Land is nice but Northeast Georgia, I'm glad I'm coming home. Grandmother's Song was based on another family event. When my Granddaddy Hicks got really old and couldn't get out much, my four sisters and I would go over to his and Grandmother's house and sing for him. He dearly loved singing. As I tell it in the song, "Murphy plays the guitar, and Argen sings the lead, Nancy sings the tenor, while Claire sits there and reads." (Claire was not yet into singing with the rest of us, but she would eventually come around!) Then, "Laurie she just jumps on in where she can find a place, and Granddad sits there listening, a smile on his face." Laurie was actually fishing around for the baritone part--she became the first of us to sing that hard-to-find harmony part. My Grandmother said she loved his bass on his favorite song Amazing Grace. And though we didn't do it on this album, we eventually started segueing into Amazing Grace at the end of my song, which made it stronger and more appealing to an audience. I was inspired to write this song after many listenings to a popular song of the time called "Biff the Purple Bear" on country radio but I'm not sure now exactly how I got from Biff to riding around. I do remember that "Biff" was a talking blues kind of song, and that Gamble Rogers often performed "talking blues" and that "Riding Around" started out as more of a "talking" kind of song but quickly evolved into a song with a melody, which is how it is performed here. On stage I often "talked it" more. Also on stage I always added a long, suggestive pause after the line about the guy with "a pair of Wingtips and jeans so tight that you could see the outline of his.......pause, pause, pause, pause, pause.......wallet in his back pocket." That usually got a laugh which made me feel like I wasn't the only one with a mischievous mind. The very last line of the song was a pretty good one: Riding around's a lot more fun when you don't ride so much!" That I knew from experience! For when Mama would ask what my high school boyfriend and I would be doing on, say, a Sunday afternoon "date," I'd always say, "We're just riding around." And perhaps there was some riding around, but that's not the part I remember! My final original song in this album, Awful Nice of Jesus, pulls from several Old Testament Bible stories I had pounded into my head growing up in the Clarkesville Baptist Church. I feel pretty sure I was introduced to these characters in the Beginner Sunday School Class and probably saw these stories "acted out" using a "flannel board." Who could forget Shadrach, Meshach and Abednego and the fiery furnace? Or Daniel, who was tossed into the lion's den? Or Abraham preparing to kill his son Issac as a sacrifice before the "angel and the ram appeared"? That's pretty heavy stuff for a small girl. Still, these stories came in handy for this song, although I realize now that the song is way too "wordy" for an audience to understand at first listening. I thought that if I could understand the words, then everyone else could too! Duh! This song was not a particular favorite with crowds, although we did use it occasionally when we had to do a Sunday morning gospel set. I do still love the chorus, though. 'Twas awful nice of Jesus to come and rescue me. Writing this, in our little house in Melrose, Florida, I experienced for the first time the songwriter's bliss of having words come unbidden to my mind. I'm pretty sure "lily of the crosswords" is a Gamble-ism and I'm sure "loading dock" is his, although I think my adding "man" to get "man on the loading dock" is clever. "Piece of the rock" probably came from that insurance commercial but I have no idea where "He's the hub in the middle of my wheel" came from! Joshua is a gospel song we learned from the amazing Lewis Family, from Lincolnton, Georgia. We worked a lot of shows with them and loved to hear them sing Joshua. When we worked it up and added to our own show, I was always careful to ask Polly or Janis if they were planning to use it on their program, if we were appearing at the same festival. I think they really liked me doing that. Over the years, we became good "festival" friends and Red and I patterned our "merch" pitch and sales after the Lewis Family. They were intense--and succesful!--in the marketing department and we wanted to be like them! Moving fast now, we learned Ain't Nobody Gonna Miss Me When I'm Gone from a Flatt and Scruggs live album; Hey Good Looking is, of course, from Hank Williams, Sr., and features Red on the fiddle; The Baptism Of Jesse Taylor, sung by Argen, was a popular country song at the time (and is still a strong song); and the instrumental Flint Hill Special, written by Earl Scruggs, features the use of the special "D-tuners" that de-tune and re-tune the B and G strings while you are playing the banjo. When we recorded this first album I had been playing banjo for about three years. For the last two of those years I was playing "professionally," that is playing on stage and getting paid. And Red and I were playing a lot, sometimes as a duo which made a four-hour bar gig some pretty intense practice. On this album, I think I sound pretty good! I land some awesome pull-offs, if I do say so myself. And as my brother-in-law Mike said, matter-of-factly, after offering high praise for the album when we were mixing it, "There are a few 'flinchers'..." I loved that word: "flinchers." It means that when you hear the mistake you made, you flinch. But after not hearing this album for almost 35 years, I find there are few flinchers now. Maybe I've forgotten what I meant to play so my "mistakes" sound good, or maybe I just have kinder ears. Whatever. I've enjoyed listening to this album. And I hope you do too. A WORD ABOUT THE RECORDING PROCESS: Red could tell you more but he is busy packaging up CDs to sell. Short version: We recorded this the "old-fashioned" way, with all three of us standing in the same room fairly close together and playing "live." We did not use a "click" track or a "scratch vocal", there was no "pitch correction" of vocal parts, and there were no computer fixes. We did not piece together a break by playing it four or five times and then editing together the best parts of each break. We did manage a few overdubs by "punching in" or using a different tape track. For instance, in the song Riding Around On Saturday night, on the banjo break before the third verse, you can hear "a ghost of the original break" (as Red put it). For some reason I had to redo that banjo break (recording over the original break) but the "ghostly" first banjo break is still audible, coming in through the nearby bass and guitar mikes. Old-fashioned indeed! So basically what you hear is exactly how we recorded it, warts and all. And I'm not going to tell you about anymore warts! If you read this far: THANK YOU for indulging me in my trip down memory lane! It always helps to know I've got someone making the trip with me.